Support, then, as a fundamental element of our offer, when support and discussion for the advancement and improvement of services offered, as well as the experience aziendale.di support the customer with a complete and timely manner. 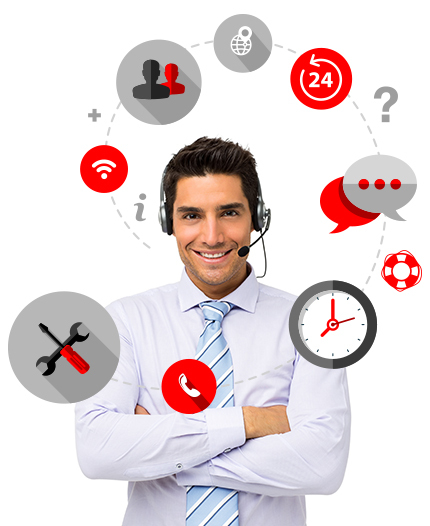 Our Help Desk, consisting of engineers and technicians, provides direct through a system of internal trouble ticketing area, and customer support telephone number 091 2087090 available from 8.30 to 21.00. The management of advanced platforms supported by Trouble ticketing that allow the seamless integration of the different levels involved in the service and the accurate measurement of ALS. Upnethosting, for the most demanding customers, offering its services Technical Help Desk up to 10 languages​​, covering 24/24 7 days 7.